Brighton Ford : Ford Mustang Makeover: What’s in store the Pony Car’s New Look? 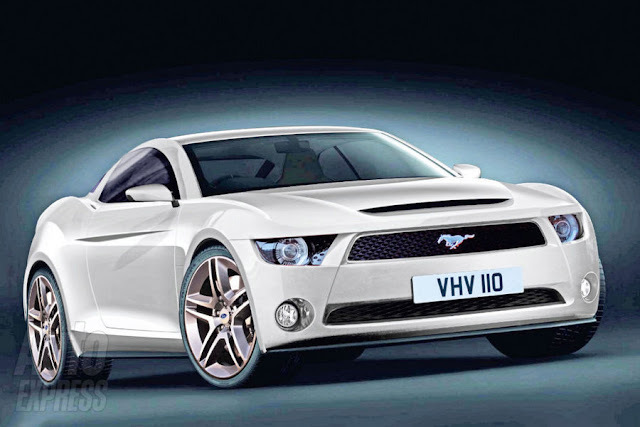 Ford Mustang Makeover: What’s in store the Pony Car’s New Look? For the last decade, auto makers have connected with baby boomers by recreating storied cars from their youth like the VW Beetle, Chevrolet Camaro and Dodge Challenger. Now, Ford Motor Co. is betting it is time to hit the brakes on the retro trend, and shift its focus to a younger generation. The Mustang, the Pony car that launched affordable and compact sports cars, today strongly hews to the look of the 1964 original. But Ford is working on radical makeover of its signature youth-market car, people familiar with Ford’s plans said. The next generation would retain the shark-nosed grille and round headlights, but would look more like the new Ford Fusion than the current Mustang, these people said. The change is part of a bid to make the Mustang appeal to Generation Y, the roughly 80 million people who were born between 1980 and 1999. This demographic group is entering its peak car-buying years. Cars that their parents drive—and hark back to the days of Woodstock, 20 years before they were born—don’t really interest them. “You cannot sustain sales without looking for new buyers. True, you are going to lose sales, but you need to refresh the population of buyers,” said Alexander Edwards, an analyst with Strategic Vision, a California research firm that helps auto companies understand why customers choose the vehicles they buy. “The main goal that all automobile companies need to be successful at is, let’s prepare vehicles that the next generation will want to be in, but have all the other features that will still appeal to the older generation as well,” said Mr. Edwards. For Ford, Gen Y may prove a difficult target. For many in this group, cars and driving just aren’t that cool in an era of iPads and Facebook. A 2011 study by the University of Michigan found that just two-thirds of all 18-year-olds had driver’s licenses in 2008, down from 80% in 1983. Toyota Motor Corp. created a whole subbrand, Scion, to appeal to the Millennial Generation. But after some initial success, Scion sales are a third of the peak. Retro designs in particular don’t fly, either. Last year, VW sold just 6,468 Beetles in the U.S., compared with 81,134 in 2000. Last year, Chrysler Group LLC stopped making its retro car, the PT Cruiser. The Mustang, which has had a strong retro look since 2005, is losing steam, too. Last year Ford sold 70,438, down 4.4% from 2010 and less than half the 166,530 it sold in 2006. Chevrolet’s redesigned Camaro and Chrysler’s Challenger each outsold their historical rival last month. 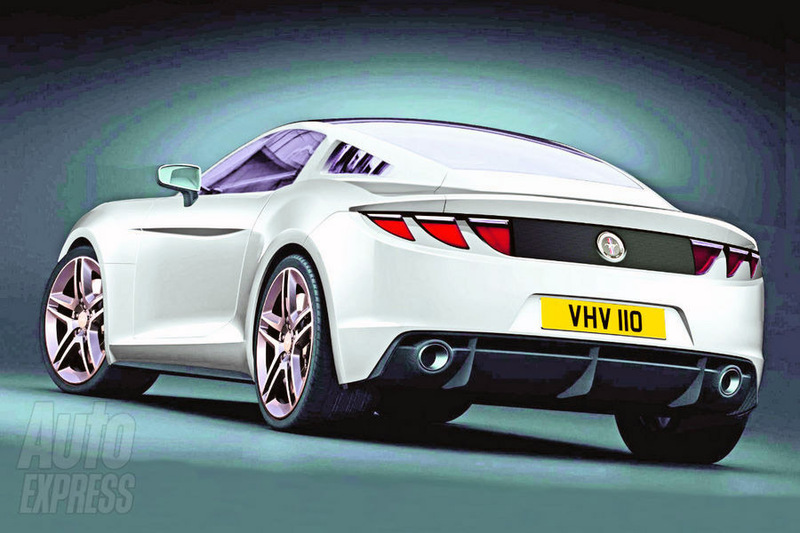 The new Mustang is due as a 2014 model, and will look somewhat like an Aston Martin, the high-price sports car often featured in James Bond movies. People who have seen the new Mustang said it is almost a body double for the Evos concept car that Ford showed at the Frankfurt auto show last fall. A Ford spokesman said he couldn’t comment on Ford’s product plans for the Mustang. Baby boomers are still an important demographic. They drove booms in minivans, sport-utility vehicles and luxury cars in addition to retro models. But with the oldest boomers now retired, that generation is near the end of its run as hard-charging car consumers. The average Mustang buyer today is 51 years old, Mr. Edwards said. They fall into the category of “near-luxury” consumers in terms of spending habits and tend to include more men than women. They like power and performance, he said. 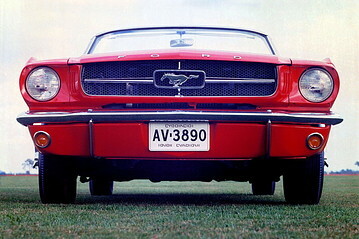 The original Mustang launched a whole category of inexpensive, sporty cars with a uniquely American look. The vehicle was a pet project of then Ford Vice President Lee Iacocca, who kept it alive after Henry Ford II had rejected early concepts. In the 1970s, Detroit faced rising competition from small Japanese and fuel-economy regulations. The Big Three shrank their pony cars and changed their looks dramatically, and they all but faded from the roads by the late 1990s. In 1998, Volkswagen AG tapped into boomer nostalgia when it reincarnated the Beetle. In 2005, the retro-style Mustang was launched and it was a hit. We have a great selection of current model New Ford Mustangs on our lot for you to test-drive. If you have any questions about the Mustang or any other questions about service, financing a vehicle, or any questions in general please feel free to Contact Us. We would be more than happy to answer any and all of your questions.